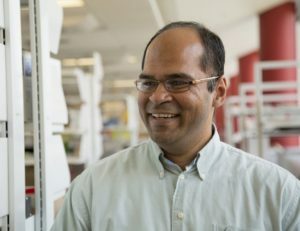 Dr. Ravi Birla is Chief Science Officer at BIOLIFE4D, directing its acclaimed team of scientists and helping to guide the strategic direction of the company. A highly regarded expert in the field of cardiac tissue and organ fabrication, cardiac tissue engineering, and regenerative medicine, Birla has specific interests in whole heart bioengineering, fabrication of 3D heart muscle, bioartificial ventricles, valves and blood vessels. His vast experience and skills make Birla an ideal leader for BIOLIFE4D’s scientific team as the company continues to develop its innovative technology for 3D printing a human heart viable for transplant. Birla earned a Ph.D. in biomedical engineering from the University of Michigan, Ann Arbor, and was also recruited to serve as Director of the Artificial Heart Laboratory with the Division of Cardiac Surgery at the renowned University of Michigan Medical School. Earlier, Birla received BS and MS degrees in chemical engineering from the University of the West Indies at its St. Augustine Campus. He has also served as a professor at both Tulane University and the University of Houston, and during both appointments, was the Principal Investigator of its NIH-funded Artificial Heart Laboratory. Prior to joining BIOLIFE4D, Birla served as the Associate Director of the Department of Stem Cell Engineering at the Texas Heart Institute, where he led day-to-day operations and scientific direction for large scale research initiatives. Birla has published more than 50 peer-reviewed scientific papers and holds several patents in the area of cardiovascular tissue engineering. He is also actively engaged in education and teaching related activities and has published a comprehensive textbook in the area of functional tissue engineering.